If erosion is taking away from the beauty and function of your lakefront property, call Koch Kuts for incredible shoreline restoration services. 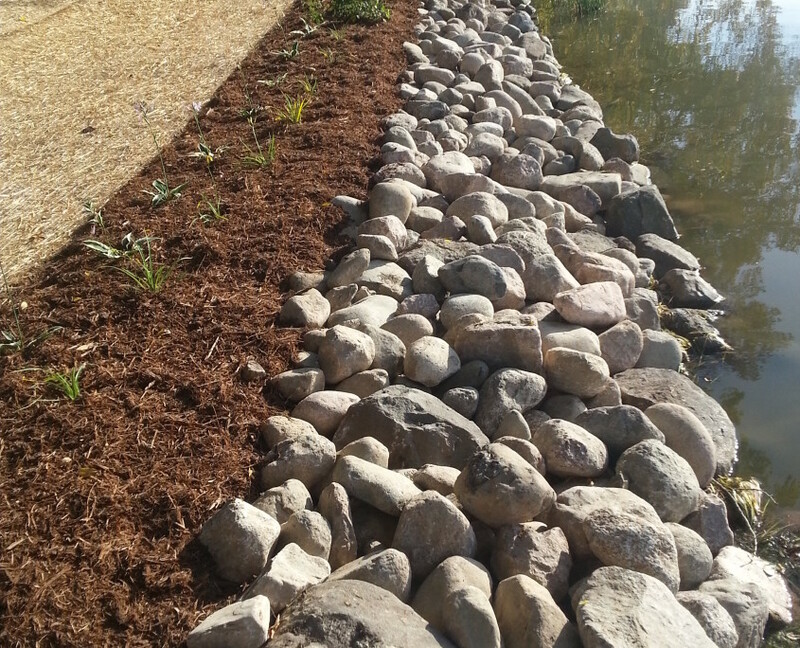 Our professionals reduce lake shore problems by creating a natural barrier between your landscape and pond or lake shoreline. 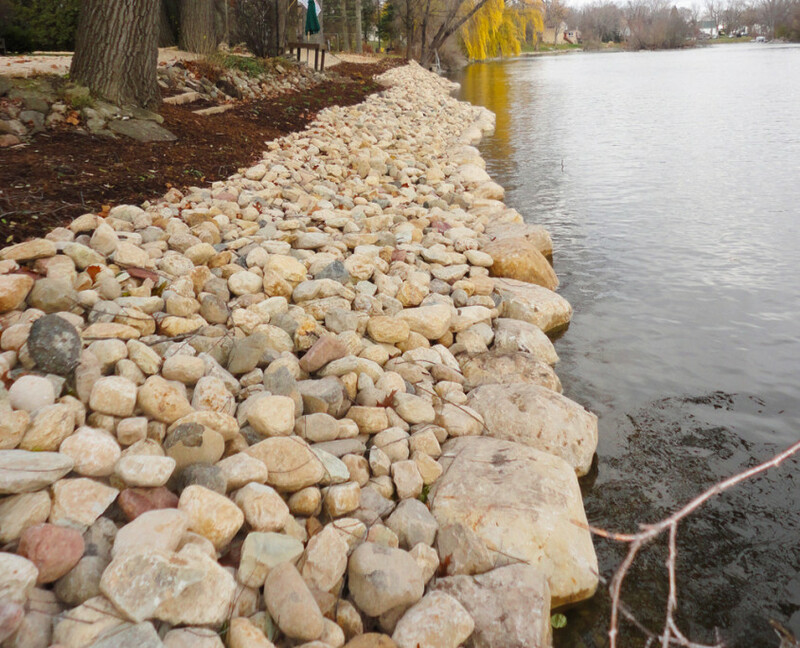 Choosing a shoreline restoration company in SE Wisconsin is an important decision – you want a cost-effective, attractive solution that can stand the test of time. Koch Kuts is the right choice! Our professionals are adept in shoreline restoration, repair, and maintenance; and have a long history of complete client satisfaction. Looking to enhance more than your shoreline? Koch Kuts can handle all of your landscape and hardscape improvements – including installing a seating area to enjoy your waterfront view from or a beautiful walkway making the journey from your home to shoreline easy and safe. Contact Koch Kuts for an estimate on your shoreline restoration! Restoration service for your property’s shoreline is just one of many ways to care for and preserve the health of your home’s exterior. Whether your property encompasses a pond or lake, it’s important to take routine steps to restore its shoreline. The professional landscaping team at Koch Kuts is highly skilled in all aspects of outdoor care, including well-designed, strategic shoreline restoration. The goal of pond or lakeshore restoration is to create a barrier between a body of water and your lawn. Adding plants, trees, mulch, and other objects helps to preserve the look of your lawn and shoreline while preventing erosion, runoff, and pollutant build-ups. Our experienced team knows the ins and outs of shoreline restoration, and will take all of the proper steps to resolve any issues and keep your property protected. Taking action to restore your property’s shoreline is a great way to boost its natural appeal and beauty, as well as its health. Well thought-out restoration attracts local wildlife such as butterflies, birds, frogs, and more. Additionally, pond or lakeshore restoration improves water quality by reducing contaminants – allowing different types of fish to thrive. 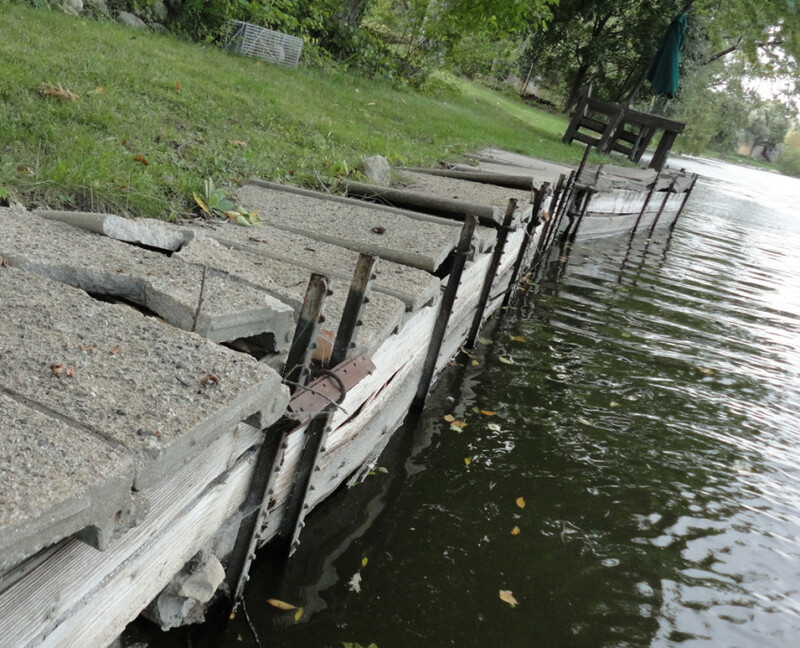 Call us today at (262) 534-9509 to request your FREE shoreline restoration service estimate!